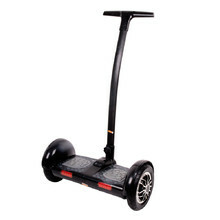 Electric self-balancing vehicles – an endless fun on two wheels! Modern vehicles with intuitive steering. Get on, lean forward to ride and lean backwards to stop. Turn left or right, move fast or slow. 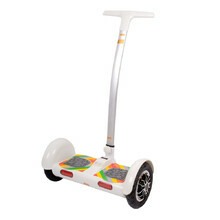 Self-balancing vehicles differ in their motor output, type of LED lights, battery capacity, maximum speed and riding range. The more expensive models have handlebars with grips that help you steer the vehicle. 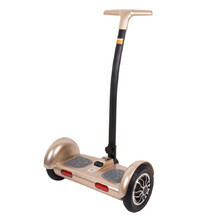 Self-balancing vehicles are equipped with a compact charger that quickly charges the battery, allowing you to further continue in your adventures! How to Choose an Electric Self-Balancing Two-Wheeler?